LEXINGTON, Ky. (Jan. 31, 2014) ― University of Kentucky President Eli Capilouto Friday asked the Board of Trustees to approve an $83.9 million private investment in an additional 1,141 modern residence hall beds that will be completed in fall 2016. The request received approval. "With our board's leadership and vision, we are continuing the revitalization of a campus that will have among the best, most technologically infused living and learning spaces in the country," Capilouto said. "We also are creating a campus more closely linked to a resurgent downtown that is becoming a destination place for our community. Together, we are a university city that grows best when we grow together ― something we have committed to now and for the future." With this investment by UK partner EdR, the university will have constructed 5,733 new modern residence hall beds since 2013 ― a private equity investment on the campus and in the community of $348.3 million. 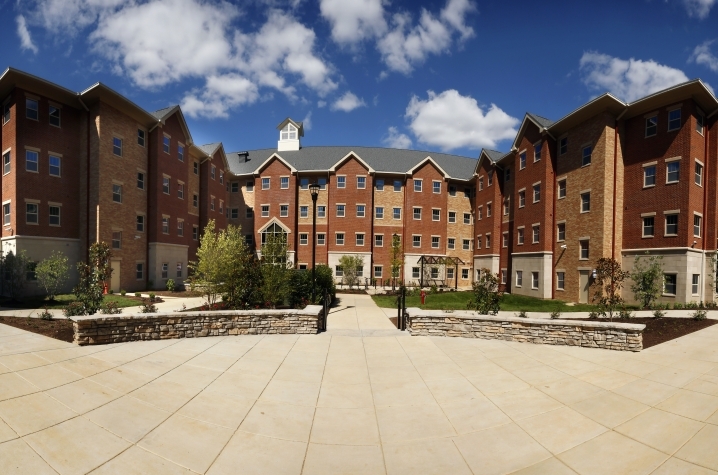 "This housing revitalization continues to fulfill the vision and direction we set out more than two years ago with President Capilouto," said Britt Brockman, chairman of the UK Board of Trustees. "We want to be ― and we will be ― one of the thriving, public residential campuses in America that is helping produce tomorrow's leaders for our state and our world. Today's announcement is another, critical step in that process." Limestone Park I and II ―the 1,141 bed, $83.9 million investment ― would open in fall 2016 on UK's north campus. To facilitate the construction, Boyd, Holmes, Jewell, and Keeneland Halls would be demolished along with the Hamilton House. The 75-year lease arrangement with Memphis-based EdR will include a mix of private single, double, and quad units and will contain 25 active learning rooms and 13,500 square feet of shell space. Patterson Hall would remain, although it will be closed for renovations as part of the construction process through fall 2016. Although Blazer Hall would also be closed for residential purposes, the dining area will remain open through fall 2016. A section of Blazer Hall will receive minor renovations for the fit-up of classrooms, offices, and support spaces to serve north campus living learning communities. In addition to the positive impact for students, Capilouto stressed that what is now the largest public-private partnership for university housing in the country is also serving as an economic engine for the region and state. The estimated impact with the completion of the latest phase in residence hall construction will be about $10 million in state and local tax revenue with more than $220 million in expenditures in Kentucky, Capilouto said. The housing projects are estimated to create 9,400 direct and indirect jobs, 75 percent of which would be filled by Kentuckians. UK is looking at the potential of building up to 9,000 new residence hall beds over the next five to seven years ― and up to $500 million private equity investment ― to transform living and learning space on the campus. Over the last two years at the direction of Capilouto and the Board of Trustees, the university has initiated ― or is about to begin ― more than $600 million in construction of new campus living, learning, research and quality of life spaces.